This ABUS Pfaffenhain thumb turn cylinder has been awarded the British Standard kitemark for its compliance with modern security standards. 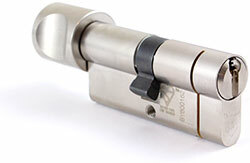 This is our highest security and most recommended thumb turn cylinder, and comes fitted with a restricted key section. The cylinder is commonly found on communal doors as it is opened via a key externally but allows visitors to leave unheeded via the internal thumb turn. The thumb turn side of this lock will work whether or not the lock is unlocked meaning it is able to provide a safe escape route in case of a fire, therefore complying with regulations. The ABUS Pfaffenhain range utilises a 6-pin cylinder to give another layer of protection over the more standard 5 pin models. 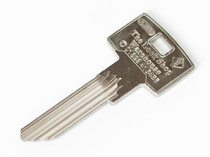 The 'Y' Patented key system, which is fully unique to the Lock Shop Warehouse makes it impossible to illegally duplicate the keys with laser machines due to a 'Y' curved section. 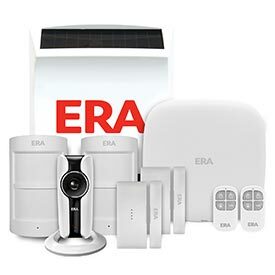 Patented until 2020, enabling you to stop unauthorised duplication with your own key number and full control your key distribution. This cylinder is available in a range of sizes, finishes and can be keyed alike. The available sizes are displayed within the dimensions chart below which also shows the distance from the edge of the lock to the centre of the cam for both sides (lengths B & C). When ordering we ask you just to provide the overall length of the cylinder (length A in the chart). Keyed alike cylinders will only be supplied with 2 keys in total. Designed to operate all the cylinders within the ABUS Pfaffenhain range. If you are not purchasing this key with a new lock then we require your specific key code to confirm authorisation before it can be cut. Please enter your key code in the box below and we shall contact you before duplication to confirm your order. Keys in this section are cut and tested to the cylinders you have purchased in your order. We do not supply uncut blanks unless requested.